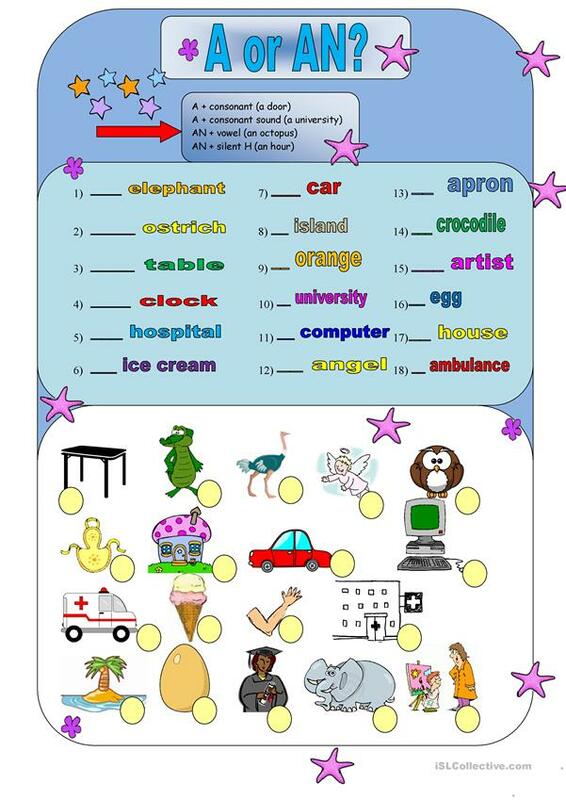 This is a matching and fill-in the gap activity to practice the difference between a and an. The above downloadable teaching material is a great resource for elementary school students at Beginner (pre-A1) and Elementary (A1) level. It is great for teaching Articles and Articles: indefinite articles (a/an) in English, and can be used for strengthening your pupils' Reading and Writing skills.